Today the Shanghai Stock Exchange fell 64.89 points. This may not seem like dramatic news to most people, but for anybody who remembers June 4, 1989 (6489), this brings chills. 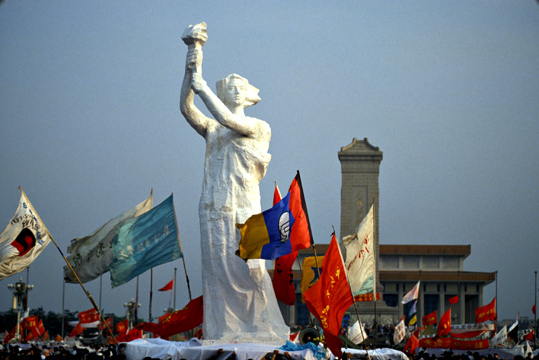 June 4th is the day the Tiananmen Square Massacre took place 23 years ago in Beijing, China; when the Chinese government ordered the People’s Liberation Army to fire upon thousands of unarmed civilians who were peacefully demonstrating during the Democracy Movement. The Chinese Communist Party has never released a death toll from the crackdown, but estimates range from several hundred to several thousand by witnesses and human rights groups. June 4th is an extremely sensitive topic in China, and is also one of the most censored. You won’t find mention of it anywhere in Chinese history books. In fact, most people born after 1989 don’t even know it happened. You can imagine the nervousness of the Communist Party today when the stock exchange closed 64.89 points lower, reminding everyone once again of a date it has been trying to erase from history for the past 23 years. Even more spooky is that the Shanghai Composite Index opened at 2,346.98—as in “Let’s not forget 23 years ago, on 4 June,’89 (only the year’s digits are switched). It made the Politiburo so paranoid, in fact, that it blocked microbloggers on China’s most popular version of Twitter, censoring anything related to June 4th. Messages containing words like stock exchange, 23, 6/4, remember, tanks, and never forget were blocked. The Chinese have always been superstitious about numbers. Just flash back to the Beijing Olympics, held on 8/8/08 starting at 8:08 because the number 8 is considered lucky. Some say today’s symbolic ticker numbers were brought on by the Karmic gods. Others speculate the stock exchange was hacked by clever activists. Whatever the case, clearly it was meant for all the world to remember what happened in Tiananmen Square twenty-three years ago and to honor the innocent victims. 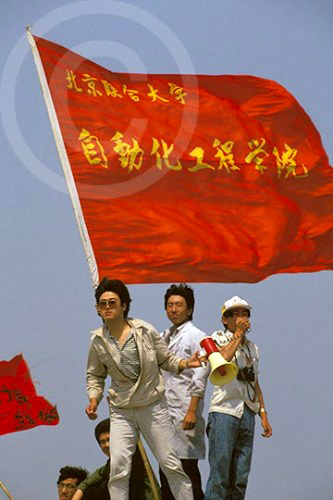 In honor or remembering Tiananmen, I’m also posting a small excerpt from my book in progress, The Art of an Improbable Life: My Twenty Years with an International Photojournalist. As Zhang Xianling cradles her son’s motorcycle helmet, remembering the last time she saw him alive, tears begin to pool in the corner of her eyes, betraying the iron fortitude she normally wears. Jeffrey winces, then feels his stomach tighten as if he’s just been kicked in the gut. Though he’s witnessed much agony in the world as a photojournalist, he’s never hardened to it. The sorrow draped across Zhang Xianling’s face reinforces why Jeffrey has risked so much to be here: This mother’s story deserves to be told. And so do all the others. 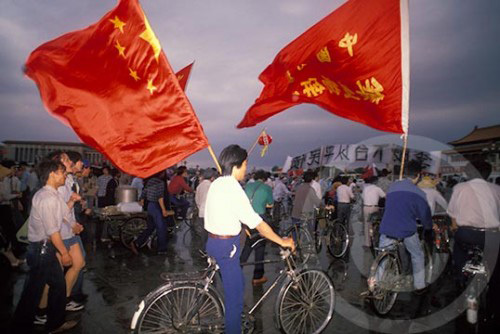 Eleven years earlier Jeffrey had been in Tiananmen Square photographing China’s Democracy Movement, capturing the exuberance of students and workers peacefully demonstrating, hoping to bring change to their country. He documented a million people marching with banners and flags, protesters carrying anti-corruption placards and hunger strikers facing off with a government they believed was no longer listening to their demands for a more open society. Jeffrey had spent an entire month in Beijing that hot spring of 1989, but it wasn’t until now that he was finally able to reveal what had happened on the night of June 3rd, and into the pre-dawn hours of June 4th, when the Chinese government ordered the People’s Liberation Army to quash the Democracy Movement with resounding force. 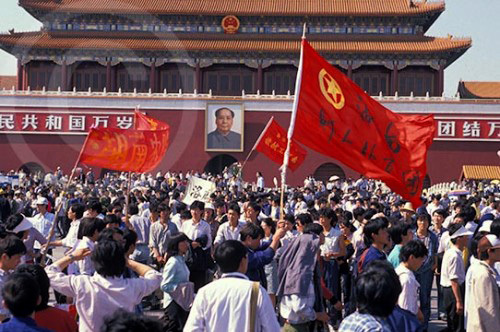 Hundreds, if not thousands, of unarmed Chinese civilians were killed by the PLA as soldiers randomly shot into the crowd fleeing Tiananmen Square and the surrounding areas. 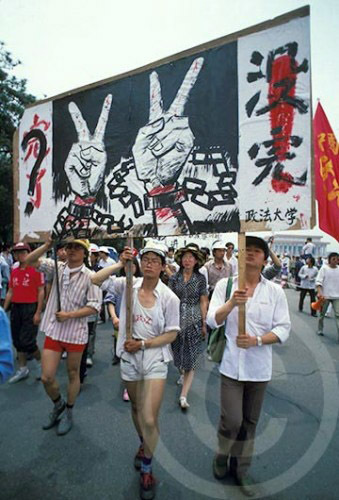 This act, which quickly became known as the June 4th Massacre, or the Tiananmen Massacre, is something the Chinese government has tried to cover up ever since, and something the victim’s families have struggled with as they seek justice and accountability. Jeffrey hopes his photo project will bring the June 4th Massacre to light again, to show the world what really happened. His story won’t involve graphic images of bodies mowed down by the PLA, but instead, iconic portraits of family members of the victims, and those casualties of the movement who survived, but whose lives have been shattered. Their testimony about the massacre will also accompany the photographs he is creating . . .
Here’s to remembering June 4th and never forgetting those who have been silenced. 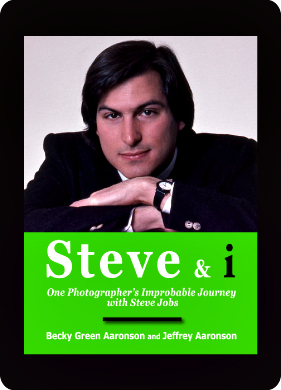 JUNE 1989: Jeffrey and I have been together for less than six months. During this time I’ve been given an unexpected crash course in the frenetic lifestyle of a photojournalist, learning quickly what it’s like to live through the lens. You may remember that 1989 is the year seismic political events begin shaking governments and cultures all around the world. 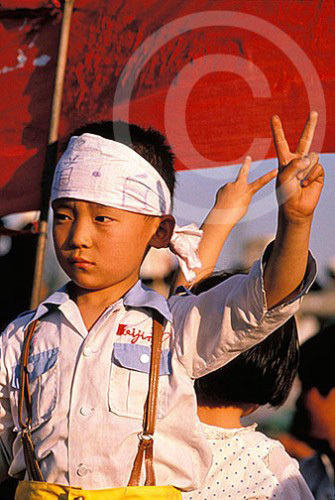 Soon after Burma, in May and early June, Jeffrey spends multiple weeks in Beijing documenting China’s Democracy Movement in Tiananmen Square, capturing the passion and energy of China’s youth and its demands for change. 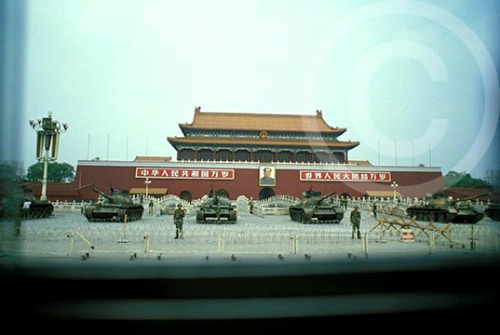 It’s an exhilarating and surreal time for me as I watch the evening news every night to see what is unfolding in Tiananmen Square, knowing Jeffrey is there at the front line of history. I see hunger strikers and workers marching with outrageously bold placards, then witness the “Goddess of Democracy” being erected as a symbol of hope and freedom for the movement. With each new development, threats escalate from the Chinese government. Soon fiery warnings are blasted about the severe consequences protesters will face if they do not end the demonstration and leave the square. Jeffrey is in a simmering pot of politics, power and impatience, and my jaw grows tighter each day knowing that it’s getting closer to bubbling over–especially in a country in which freedom has never been a priority and brutality has often been a solution. At that moment, the Democracy Movement is no longer just a surreal event half way around the world for me; it is palpably real. It’s then I realize I need to focus on my “own thing” while Jeffrey is gone, otherwise my twenty-three year old dark brown hair will soon be turning white. While Jeffrey is in Tiananmen Square, I spend hours out on the road cycling, distracting myself with Aspen’s intoxicating landscape, centering my attention on simply turning the cranks of my pedals and getting enough oxygen into my lungs, rather than worrying about whether the Chinese government will follow through with its threats. 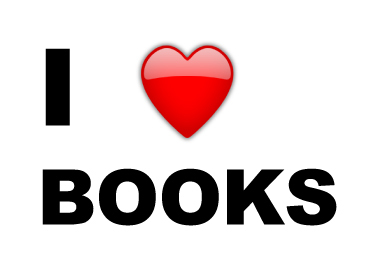 I also immerse myself in work and all the other things I love like reading, painting and writing. I still stay glued to the TV and scour every newspaper, but I realize I have no control over Jeffrey’s safety so I trust in his scrappy ability to navigate through upheaval and create images, while staying out of harm’s way. 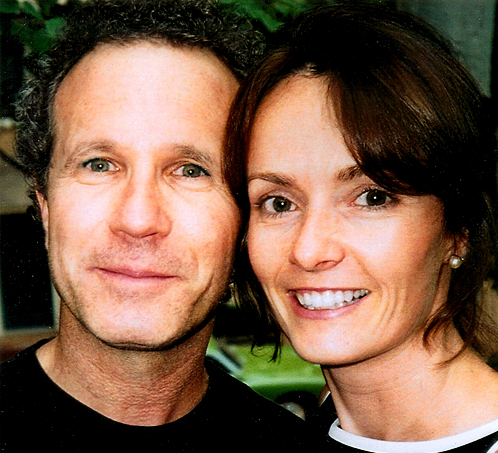 I also can’t help but feel empathy for Jeffrey’s parents. Right before Jeffrey leaves for Beijing, I overhear one of the most endearing phone conversations I can ever remember. “You can’t forbid me to go,” Jeffrey says to his dad as gently as he can, a sweet, appreciative smile crossing his face. “You’ll just have to trust that I’ll be okay. Really. Don’t worry. I’ll be fine,” he says as tries to ease the concerns he hears on the other end of the line. His dad’s fear says everything about the love his parents hold for Jeffrey, and immediately makes me understand who Jeffrey is from the ground up. 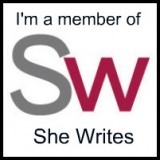 That same trepidation also makes me think about all the other journalists in the world, and all the spouses, families and friends in the wings supporting what each is doing…and most likely worrying–particularly those going into war zones. I’m thankful Jeffrey has not chosen that path. Tiananmen Square is bad enough. After nearly six weeks of peaceful demonstrations, the worst happens: China’s Democracy Movement tragically ends in bloodshed. 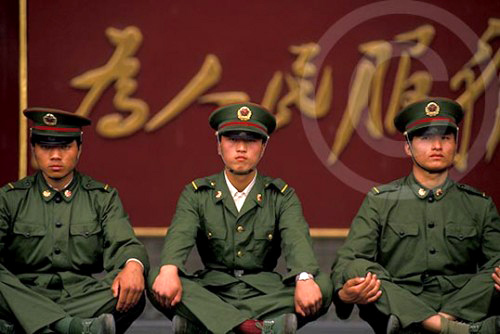 On June 4th, the Chinese government orders the People’s Liberation Army to quash the movement and end all challenges to its power. Thousands of unarmed people are murdered, mowed down by bullets and tanks, and many more are injured as the PLA clears the square. Thankfully, Jeffrey is not one of them. In a later post I will share the story of how, in an unusual twist of circumstances, Jeffrey sidesteps the June 4th massacre. I’m a firm believer that most things in life happen for a reason. This is no exception.